Never to comb wet hair. Do not rub the head vigorously after bath with a towel. Do not frequently expose the head to hot steam, hot water or hot air. Regularly apply the coconut oil charged in blue bottle before going to the bed. (at least weekly twice). The oil application should be very gentle with the tip of the fingers to the scalp only (avoid vigorous rubbing). Add few fresh lemon drops to the charged oil being applied. Reduce excessive constructional heat by following methods. Daily drink 10 to 12 glasses of water per day. Regularly take once cold or lukewarm of water per day. Regularly take mixed vegetables raw salads in the night meal. Restrict the coffee or tea in take to 1 or 2 small cup per day. (if necessary). Avoid tobacco, cigarette and alcohol. Take more green and leafy vegetables to avoid constipation. Do not use any spurious preparations for remedy of hair fall or hair growth. Cleaning the hair with soap nut or shikai powder is good. As alternative better shampoos (mainly ayurvedic) to be with doctor’s advice. Ground nut soaked for 12 hours with jaggary. Dal and leafy vegetables, soyabean preparation. Soaked raisins, figs and almonds (6 hours) in ratio of 8:2:4 (overnight soaked). 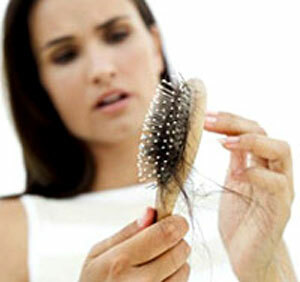 People having specific disease of scalp must consult a skin specialist after seeking advice from family doctor. Regular practice yoga asanas concentrating more about sarvanga, head neck and shoulder exercises. Preapare the paste of overnight soaked methi (mentulu) and fresh hibiscus leaves. Mix them and add 8-10 lemon drops. Apply the paste to the scalp and retain it for 1 hour. Later clean the hair with freshly prepared soapnut water during head bath. Take handful of soapnuts, break them and boil in ½ Liter of water for 5 minutes. After when it cools down – squeeze the broken nuts in water and filter it. Use this filtered water to clean the hair during head bath.